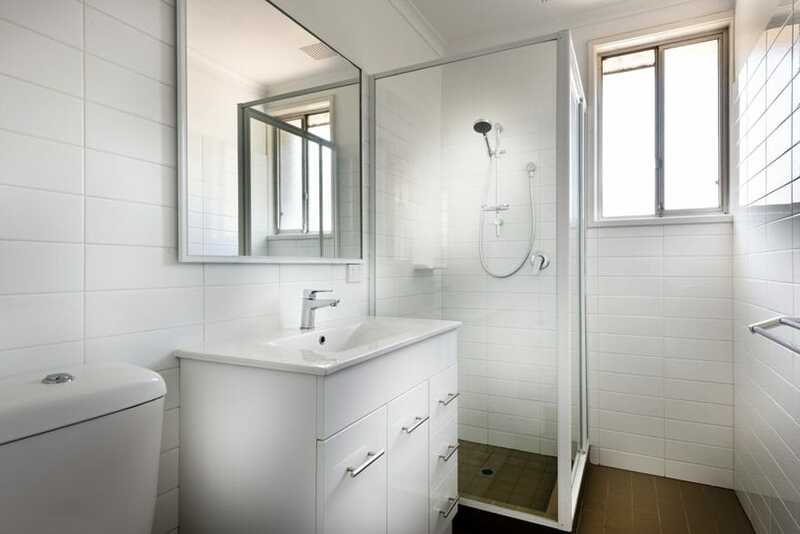 Bathroom renovations are one of the most in demand of all home renovations in Perth. Bathrooms, just like kitchens, are high use areas and one of the most common rooms in need of a renovation. Considering how much time we spend in the bathroom it’s no wonder these areas are at the top of the renovation list. Bathrooms can fall out of style, experience water leaks or simply become non functional over time. Bathrooms can become frustrating when it no longer works how it should. 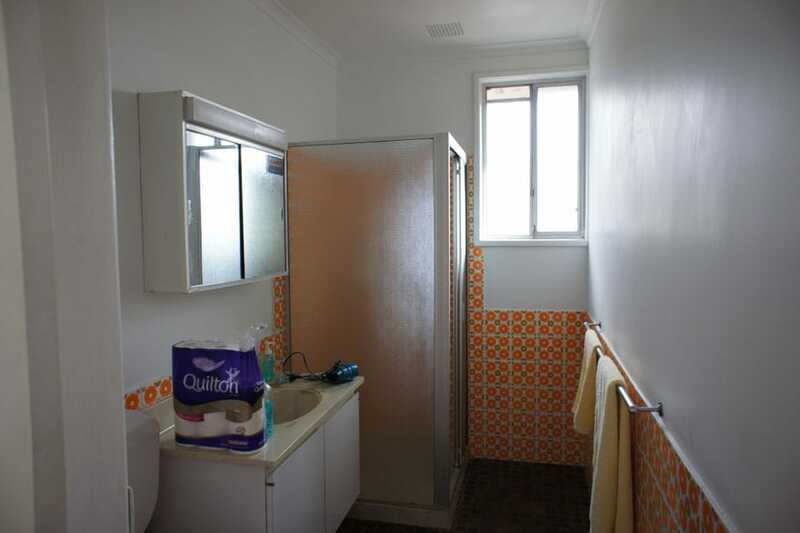 The best thing to happen to this bright orange 70’s bathroom in Woodlands? Demolition! (Scroll down to see the After photo). Due to the costs to renovate an average bathroom, it pays to do your research to ensure you are getting the most out of your bathroom renovation. This is one area where it is easy to get it wrong. Small bathroom renovations in particular can benefit from good research, expert advice and a well thought our plan. Just like the kitchen, the bathroom design and layout is extremely important in order for your bathroom to function effectively. Unlike the kitchen though, the space allocated for your wet areas is usually significantly smaller and it is not so easy to steal space from neighbouring rooms to increase the size. This means making the most of the layout and the space you have in order to make your bathrooms not only beautiful but also highly functional. Modern bathroom layouts are becoming far more adaptable to our lifestyles than ever before. Bathroom designs are becoming more streamlined which not only making the space appear bigger but also making them easier to clean. That’s better! 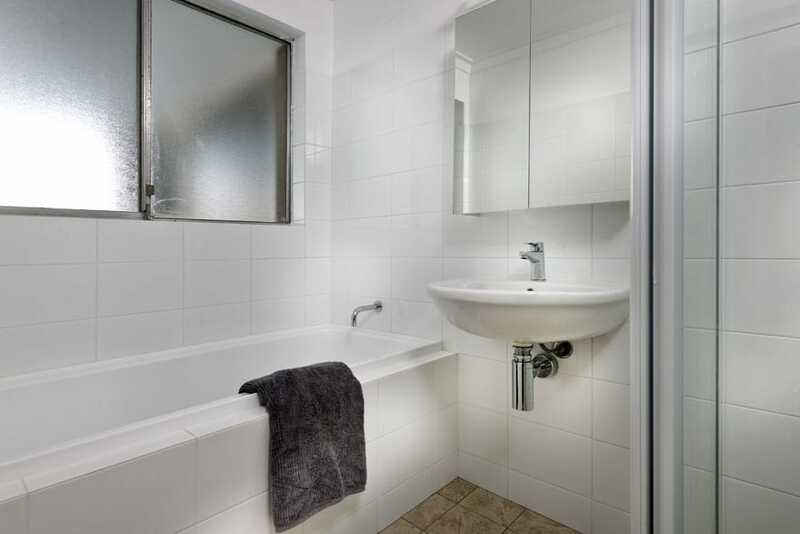 The ugly fixtures and tiles have been replaced with a clean, white colour scheme, making it a fresh, attractive bathroom. If your bathroom layout no longer works, then speak to us about alternative layout options. We will be able to draw from our extensive renovating experience to advise you on the best bathroom layout for your family and lifestyle. Over time bathroom materials, fixtures and finishes wear down. Water finds it way into the most unlikely places and fixtures can become tired and stop working. Bathroom design trends also change over time and new and improved products, materials and fittings hit the market regularly. Old fixtures and finishes that were once stylish and functional ten years ago may now be dated and cumbersome to use. Mixers and pop up wastes are just two examples of modern designs that are more commonly used in bathrooms today. Bathroom finishes and fixtures are also much more eco friendly than older fittings. Tapware and toilets are now fitted with water saving devices and along with baths, vanities and shower screens, are more adaptable giving you a more personalised finish. Trends definitely change! Choosing a white or neutral colour scheme can be the safest option, especially for home resale value. When considering the finishes and fixtures to incorporate into your new bathroom renovation you need to consider both your lifestyle as well as the style of your home. Are you a busy person who would like a highly modern finish in the bathroom space or would you prefer a more traditional look with new fixtures that have an old world charm that is in keeping with your character home? When undertaking your bathroom renovation, storage is an important element you do not want to overlook. Storage in your bathrooms can be huge asset to your home and ideally you want to incorporate as much as possible without compromising on the design. While vanity storage is an obvious choice, also consider the use of inbuilt shower niches and hidden cabinetry to increase storage in the space and keep all your toiletries stored neatly out of sight. When it comes time to think about the storage options in your bathroom, consider how much the space gets used and the people who will predominantly use it. If your bathroom is mainly for guests then it may not need as much storage as a bathroom that will be used on a daily basis by a growing family. Renovating a bathroom can be an expensive exercise. In fact, it’s one of the most expensive rooms in the house to rejuvenate (after the kitchen of course). However, this doesn’t mean that you can’t achieve a beautiful and functional bathroom even on the tightest of budgets. Bathroom renovation costs generally start at around $15,000 and increase depending on the size of the space along with the finishes and features you want to incorporate. To get the most bang for your buck in your bathroom renovation, it pays to do your homework on the design options available and the best materials to use that gives you the result you are after but is also in keeping with your budget. Adequate lighting is a must have in any bathroom. Badly positioned or dim lighting can be detrimental to the functionality of the bathroom and can have a big impact on your enjoyment of the space. This is not say that your lighting options need to be boring. There are many lighting options that can be both functional and beautiful. Mixing simple down lights with feature pendants or wall lighting can give you the best of both worlds. Plumbing and electrical should also be taken into consideration when designing your new bathroom layout. Most bathroom renovations require a full demolition which gives you the opportunity to reposition any pipework and wiring to ensure the space is as functional as it can be. This can mean repositioning pipework and drainage within the wall cavity if you are replacing a floor standing vanity with a wall-hung vanity. Or adding extra power points in the areas you will need them the most. This was a simple bathroom renovation that replaced the fixtures and wall tiles. 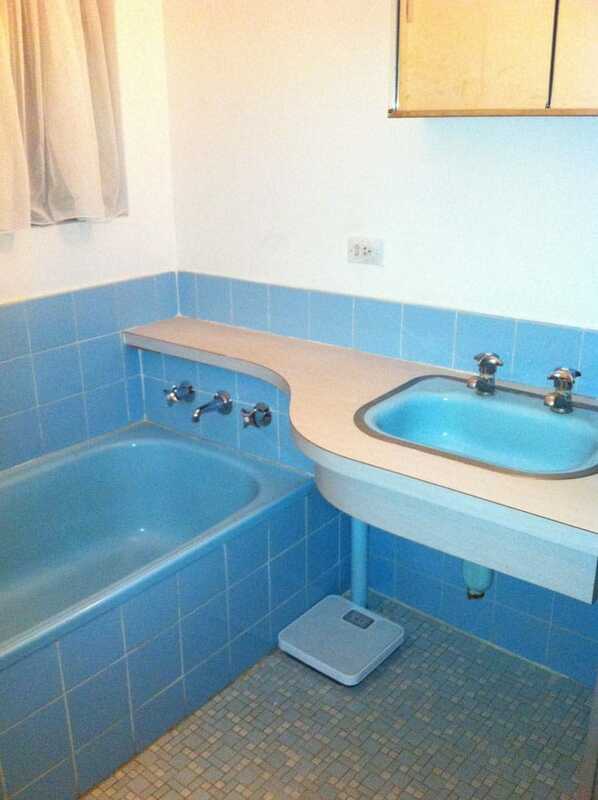 You can see the Before photo – the blue bathroom – by scrolling up. When it comes to plumbing and electrical, don’t forget to also consider ventilation and heating. Streamlined ventilation units will help draw away any moisture that can damage your finishes and adding luxury items such as underfloor heating or a heated towel rail can really enhance your experience. Bathroom renovations can be a daunting process but the results can be well worth the effort. Having a bathroom renovation specialist out to talk through your bathroom renovation options can help give you advice and feedback on what is possible in your space. As Perth’s bathroom renovation specialists, Exactus Homes has vast knowledge and experience in this area.